Here are highlights from round 1 and 2 of the 2014 Drew League Playoffs featuring Baron Davis, Brandon Jennings, Nick Young, Adom Jacko, Kwame Alexander, Deshun McCoy, Antonio Biglow, Corey Allen, Jordan Hamilton, Marcus Williams, Jerome Jordan, Eric Williams, Steve Alford, The Game, Frank Sessions, Casper Ware, Sango Niang, and many more! 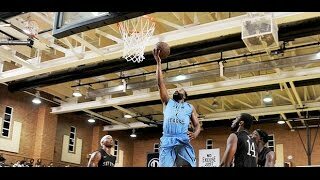 19/07/2013 · Baron Davis Dominates In The Drew League Playoffs! Week 12 Recap! Published: 07 Aug 2014. ... Baron Davis Dominates In The Drew League Playoffs! Week 12 Recap! James Harden Makes It Look EASY At The Drew League! ... Jaylen Brown Dominates The Competition At ... Baron Davis Dominates In The Drew League Playoffs! Week 12 Recap! Baron Davis Dominates In The Drew League Playoffs! ... Drew League Week 5 Recap! ... Interview of Corey Allen from Brockport Middle School in upstate NY. 09/08/2014 · And here's the recap for the remaining games. ... Baron Davis congratulated coach Allen Caveness via Twitter. ... Drew League Season Awards.